For Park(ing) Day this short stretch of Stanley Avenue became a pleasant car-free plaza. Photos by Joe Linton/Streetsblog L.A.
As part of last Friday’s worldwide annual Park(ing) Day festivities, the Melrose Business Improvement District (BID) worked with the Mid-City West Community Council and Normandie Bakery to try out a temporary park where a more permanent plaza might follow in the near future. 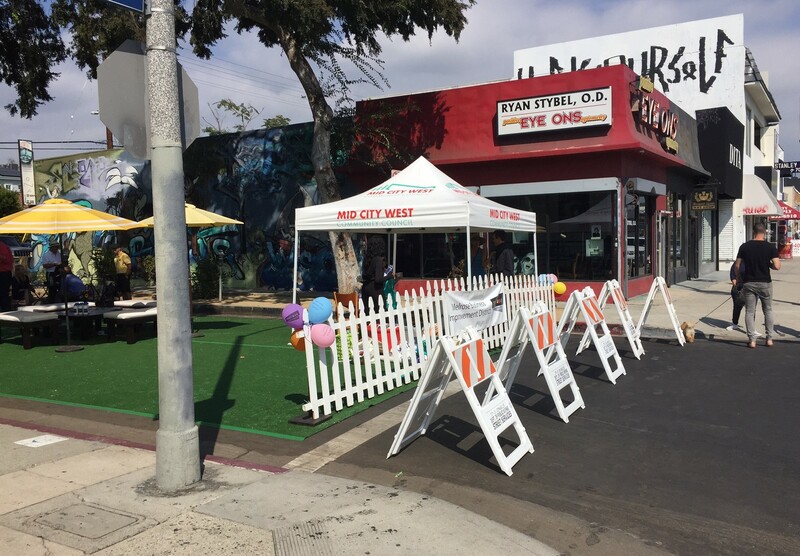 For Park(ing) Day, the BID got permission from the city of L.A. to close about 150 feet of Stanley Avenue immediately north of Melrose Avenue, extending as far as the alley that separates the retail area from adjacent housing. Typical Park(ing) Day sites occupy a space or two; this one included about eight metered spaces and the roadway between them. 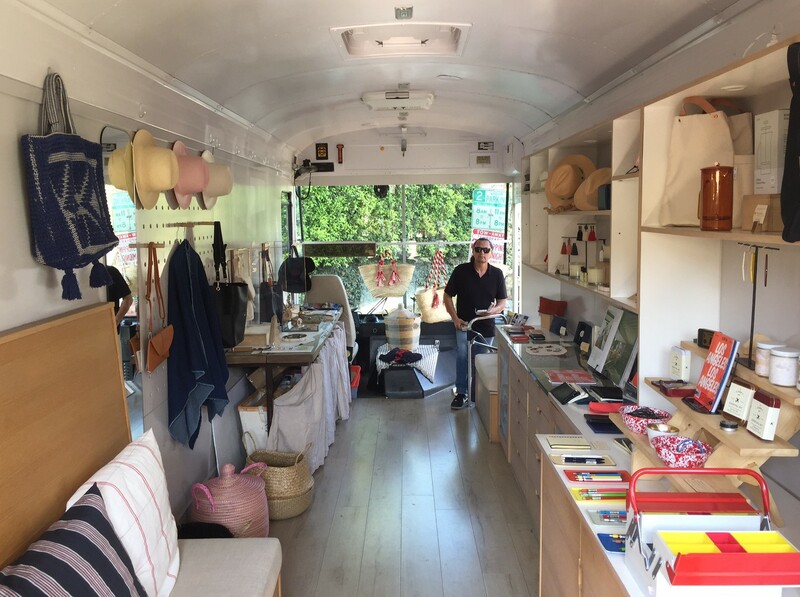 Leaders of the BID expressed interest in working with the city, either through the LADOT People St program or otherwise, to permanently close this portion of the street to help foster a more attractive, walkable retail area. With cars removed from the space, families dined at picnic tables under the shade of tall street trees, some snacking on treats from the newly opened Normandie Bakery. 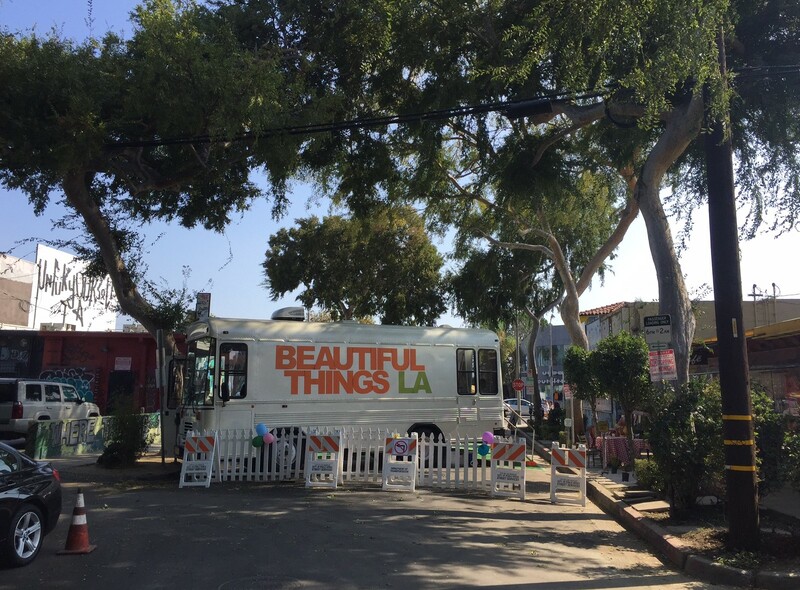 The Beautiful Things L.A. bus hosted a pop-up store. Enjoy the photo gallery below. 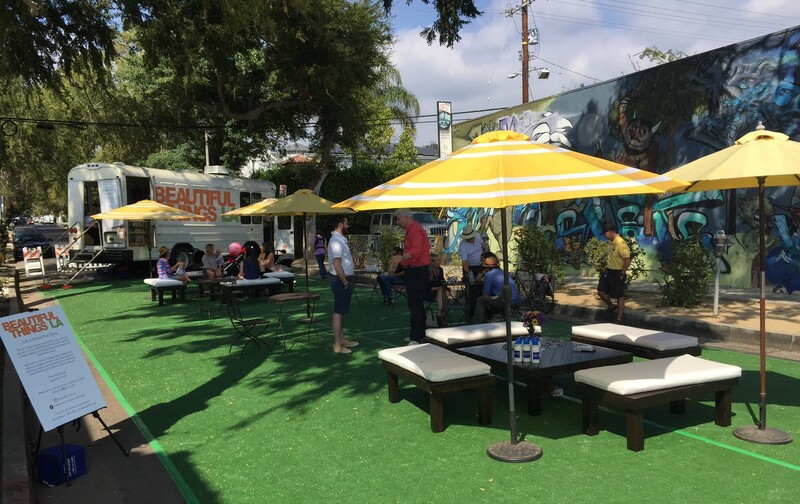 The Mid-City West Community Council also partnered with local businesses – Matcha Box and The Open Space – to create two other parking space parklets. 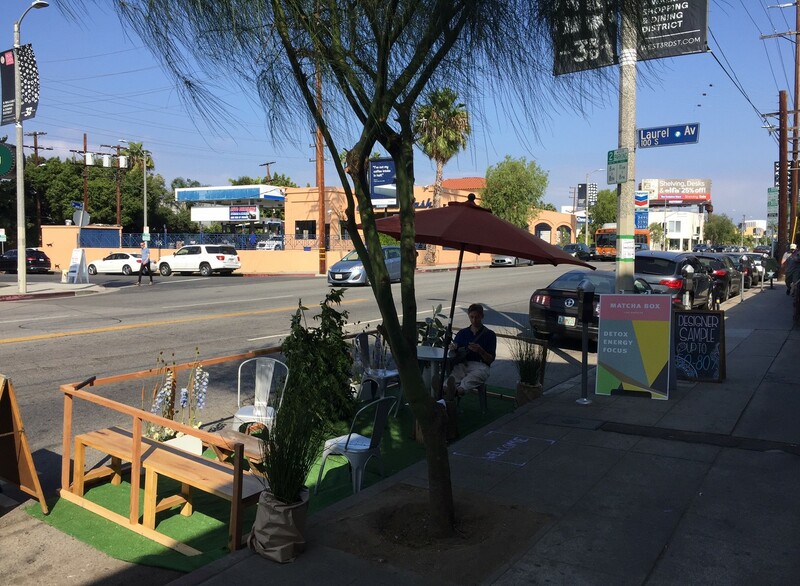 For additional Park(ing) Day 2017 coverage see Streetsblog California. This looks like a great location. Do it! I remember one time in downtown when a drunk driver popped over one of the barriers protecting a parklet and took it out. Putting people literally on the street on a major arterial is not a good idea. Sounds like the city is asking for another Bonin sized payout. 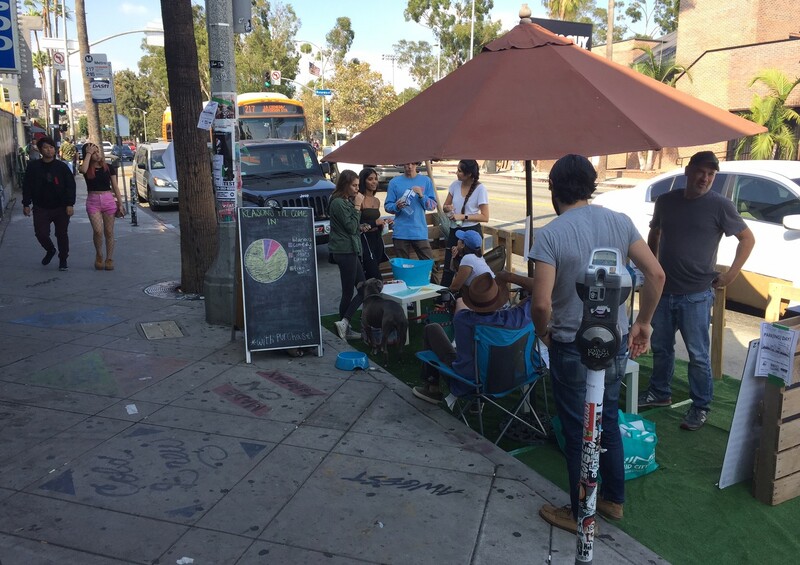 Major Changes to Friday’s Park(ing) Day Ride – No More Santa Monica!